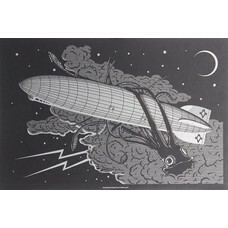 Dark and Stormy Night (Squid) POSTER 12" x 18"
Maiden Voyage Clothing Co. Dark and Stormy Night (Squid) POSTER 12" x 18"
Dark and Stormy Night (Squid) - Poster 12" x 18"
In rare occurrences animals have been known to rain down from the sky. This happens when strong winds like those produced during a powerful storm race across water and pull those creatures from their home. 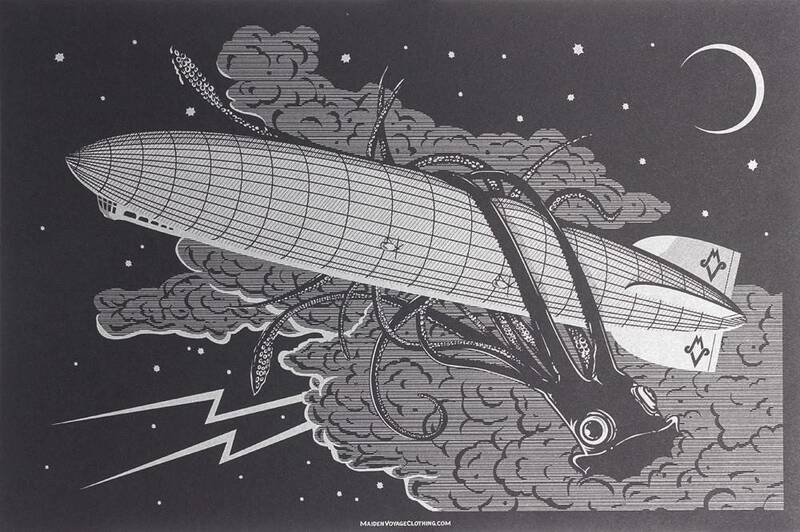 This design depicts a storm so vast and powerful that it has plucked a giant squid from the ocean. Before being rained back down to Earth the cephalopod is carried high into the night sky. There the tentacled traveler finds itself a snack in the form of a zeppelin!